A brand is the most powerful asset a company can own. We believe in brands, their power and their value. It is very important that the world knows that you too exist. However, people find it difficult to be found among the million other competitors. This is where we come in. 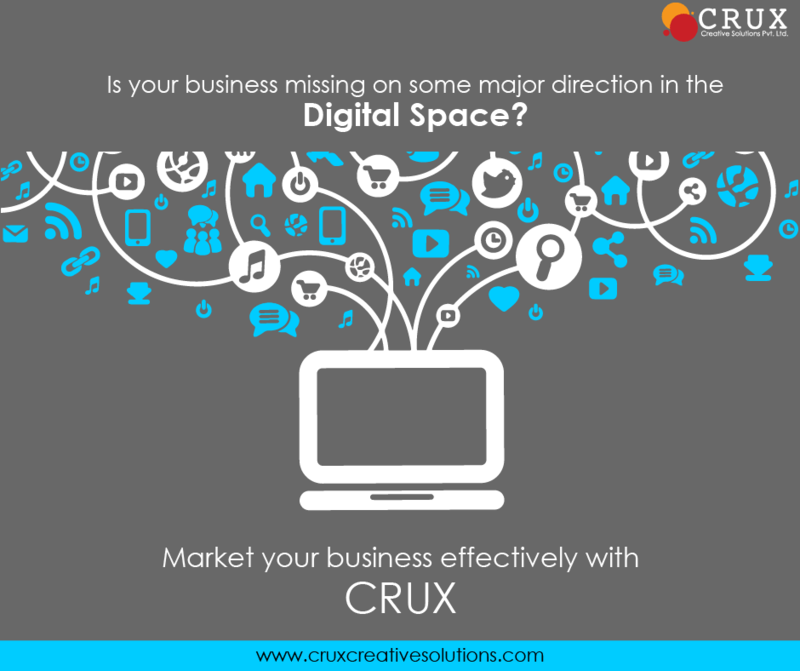 Crux Creative Solutions Pvt Ltd is the leading Advertising Agency in Delhi, India. The company offers Advertising, Branding, Public Relations, Digital Marketing, and Offline Marketing and organizes events in India and abroad. We offer comprehensive digital solutions covering Media buying, Social Media Strategy, Organic Searches, Paid Searches, Website development, Website designing and Creative Designing Services. Being one of the top Advertising Agency in Delhi, India, we believe that our job is to help clients build enduring brands that live as part of consumers' lives and helps to build confidence. The success behind this is through a proprietary way of thinking and performing creative skills. We can help you with handling all Social Media pages like facebook, linkedin, twitter, instagram, pinterest the list goes on and on. You name it and we are there. We love what we do. Crux Creative Solutions Private Limited is a dream driven advertising agency in Delhi that takes your concepts, creates a design and develops something completely new and 100% yours. We aim at delivering work straight from the heart and ensure to always to put a smile on our clients faces. Join hands with the best Advertising Agency in Delhi and be discovered today.